When I drove Kritterman to Mansfield last Saturday so he and his Destination Imagination (DI) team could compete against 40+ other elementary teams from all over the Dallas/Ft. Worth region I had no idea what was in store. Sometimes being the taxi driver can be a bit mundane… but this day turned out to be a proud mama moment worthy of a post. See, Kritterman is the little guy at our house. He has a sister, a dad and me who constantly keep him focused and on task. Not much opportunity to lead, even if we don’t intend to do that, it’s just how it works sometimes in the dynamics of a family structure where you are the “baby” in the family design. What I didn’t expect is how much he exceeded my expectations beyond how awesome I already knew he was. 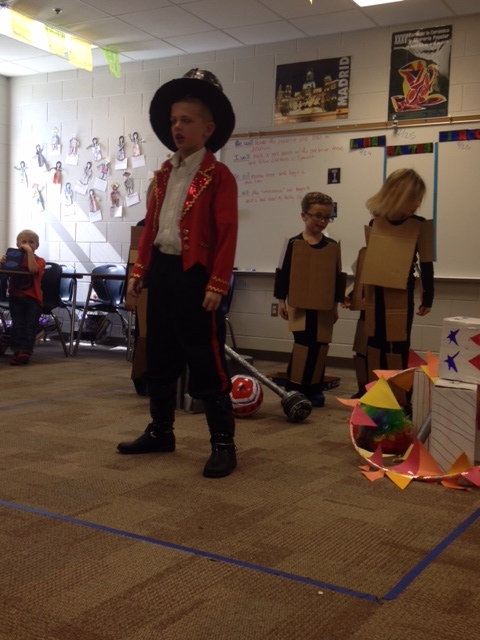 His DI team is composed of two second graders, and three first graders. Three of the group are very ACTIVE boys (including Kritterman) and two very VOCAL girls. In DI the rules are that the adult coaches are only allowed to supervise, they cannot suggest, make or direct the team on how they will create the theatrical presentation that answers the challenge. That has to be done by the five mentioned before. Now I don’t know the process in detail that brought them to the day I got to witness, but it truly was amazing how this little troop worked together. At their helm was my guy. I saw him coach, direct, be firm and compassionate in the same motion. I am teary as I reflect how truly amazing he was as a person and as the LEADER of his DI team. Oh, and did I mention that one of the teammates is visually impaired? If you were observing from the outside you would probably miss this detail, because the whole group seamlessly supported one another including the one whose vision might have hindered some groups, but not this team… it was embraced to the point no outsider would have ever known. Now I would be remiss to not give the Coaches Jennifer and Andrea credit. Anyone that can step back and let kids refine a product without any input and simply provide the supervision needed as well as the raw supplies is amazing. It makes me wonder how many times as adults, teachers, parents and coaches that we step in too soon and squelch the creativity of a child that could have resulted in amazing final result. Time to step back and provide the environment for growth and stop placing too much structure on “genius leadership” in the making and let kids discover the “ringmaster” inside. Here is a video from my phone (it ran out of room to video the whole thing… but it is too cute not to post a sample of their work). 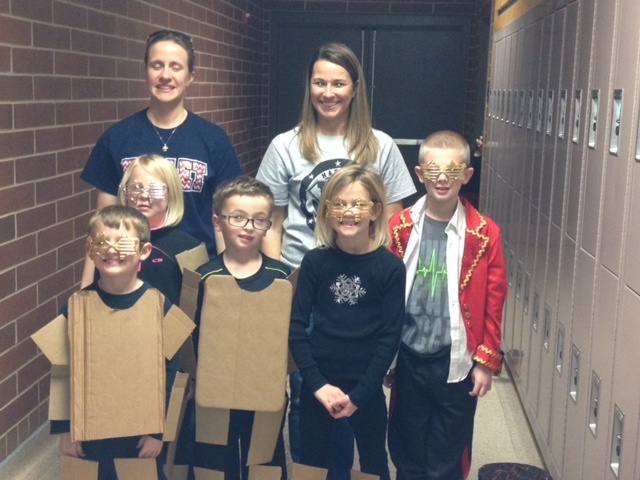 precious creative kids! Love them. They are always surprising me! Makes everyday in my house a blessing! So fortunate to have teachers like you and others who foster their creativity.